A Golden Wish, Apparel for A Cause, today announced their participation as a vendor at the Rhode Island Pride Festival on Saturday, June 16th in Downtown Providence. A Golden Wish is proud and excited to participate in an equality for everyone event, such as this. The 2018 Pride Fest will begin at noon and run until 7:00 p.m.
“Access to the PrideFest will be through the South Entrance by Wickenden Street and a North Entrance at the start of Memorial Blvd and South Water Street. The PrideFest will feature a mix of live entertainment, a business marketplace with over 200 plus vendors, Kid’s Zone, food trucks, arts, Youth Center, and a beer, wine and spirits garden and there is no fee for admission.” (Information Provided by PrideRI.org) As a lover of golden retrievers and the LGBTQ community, Faye Silverman, Found of A Golden Wish, hopes to help encourage all people to live their most authentic life and to do it with love and kindness. This year, A Golden Wish will be unveiling a NEW Paws for Pride 2018 Apparel line! A Golden Wish will be at the Rhode Island Pride Festival for the duration of the event! Don’t be the last to discover what A Golden Wish is all about. What is A Golden Wish? 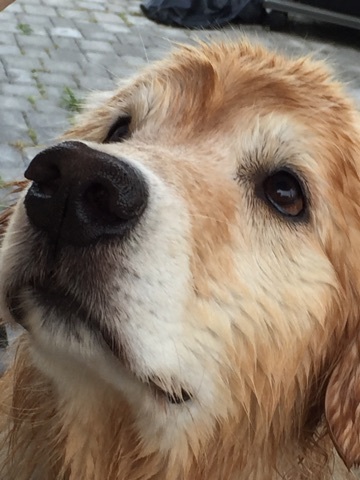 A Golden Wish is a way for dog lovers to make an impactful difference in the lives of golden retrievers everywhere. 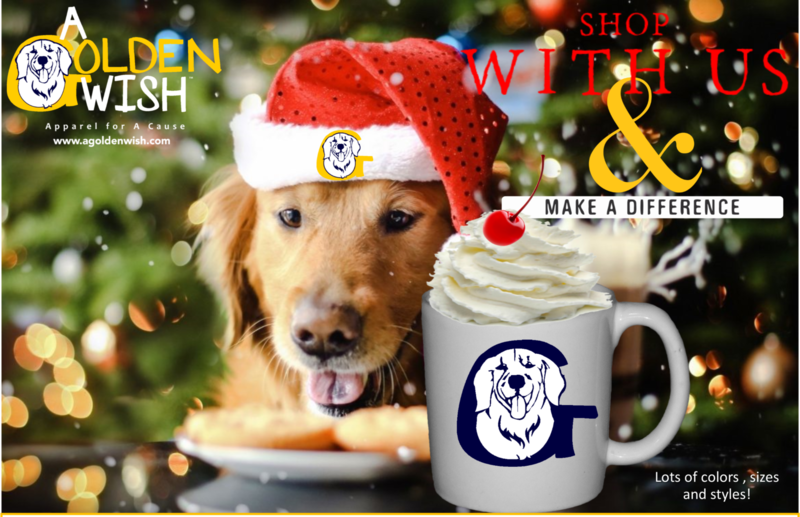 A Golden Wish was created as a custom apparel line featuring and honoring the golden retriever dog breed based on Faye Silverman’s love for golden retrievers. 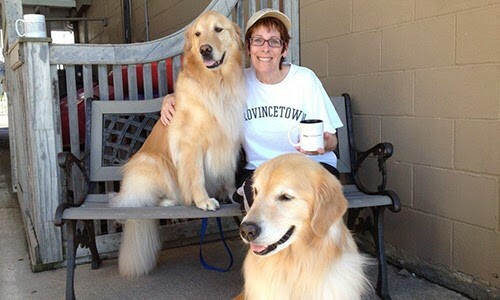 Upon the death of her first golden retriever, Joey (aka Papa) to Cancer, (hemangiosarcoma) and then her second golden retriever, Nicky, to cancer (hemangiosarcoma), Silverman decided to dedicate her life to changing the statistics of disease in golden retrievers and dogs across the globe.